NZ Music Month is an annual event managed by the New Zealand Music Commission, its purpose is to celebrate and grow awareness of home-grown music. We’re proud to be an official venue, hosting a wide variety of concerts around the month of May. This year the focus is to “Discover New Music”. The theme for this year is finding something new – a new band, genre, new tracks or a new album by a New Zealand artist. As music is valued in many genres and ways, we are keen to help New Zealanders discover music in places they may not generally think of. One of those places is indeed The PumpHouse – we’re hosting a wide variety of concerts and music from local artists throughout the season. Kicking off our music month off is our SOLD OUT show for The Music of Leonard Cohen! If you’re having major FOMO, then you’re in luck. We’re giving away two front row seats to this sold out performance. Details below. 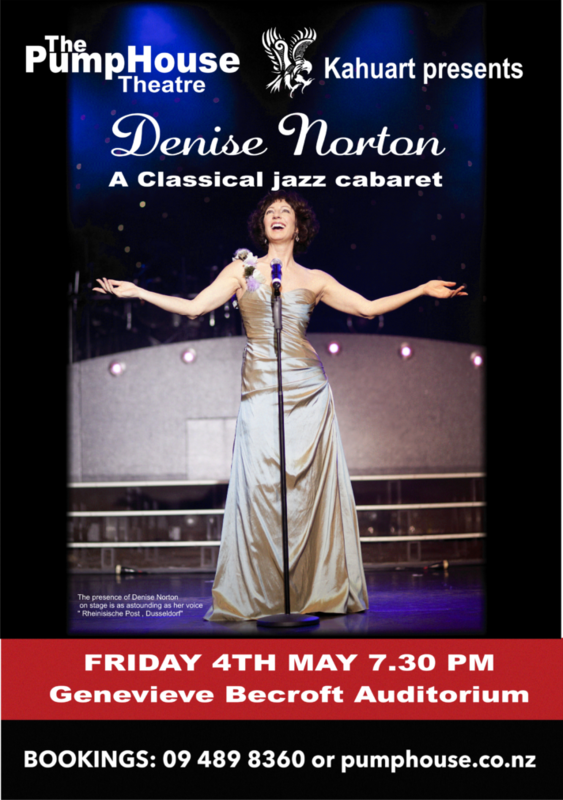 Next, we’ve got treasured New Zealander Denise Norton, presenting A Musical Jazz Cabaret. Denise is a former classical dancer/singer and has been involved in the Music Industry for over 20 years. Her show features Jazz standards, highlights from well-known Musicals and Films, and from the composers Stephen Sondheim and A.L Webber. If, like me, you wish your life was a musical – then this one’s for you! Saturday we’ve got Dominic Blaazer and The Maximum Philharmonic Orchestra. A stalwart of NZ music, Blaazer has played alongside Don McGlashan, SJD and The Chills, also accompanying the Topp Twins, John Rowles, Goldenhorse, David Kilgour and The Clean, among many others. This talented North Shore musician (can you believe it) is showcasing his new album “The Lights of Te Atatu” with his 9-piece orchestral band. 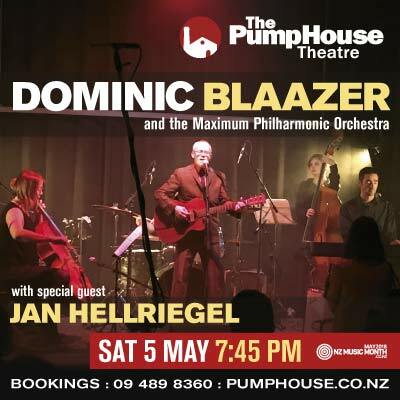 The opening act is special guest Jan Hellriegel, one of New Zealand’s most respected songwriters. Lastly, if you really want something “out there” then come to Adrian Portia’s Handpan Music. It’s guaranteed a great performance. He’s a world renowned, Australian based drummer and percussionist. Adrian J. Portia is bringing his stunning Handan music to New Zealand for the first time! He has been recognised internationally as one of the leaders and educators of the instrument, widely known for his speed, control and command. Take a look at all of the music events we’ve got on, it’s not everyday there’s such an array of talented musicians in one month!